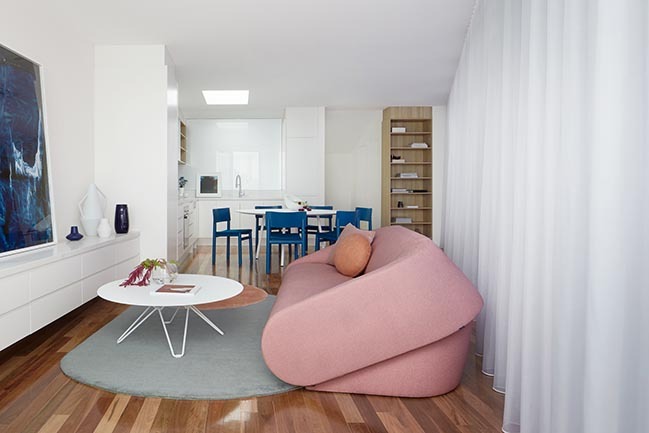 Downside Up House is an exercise in designing "big home features" on a small footprint. 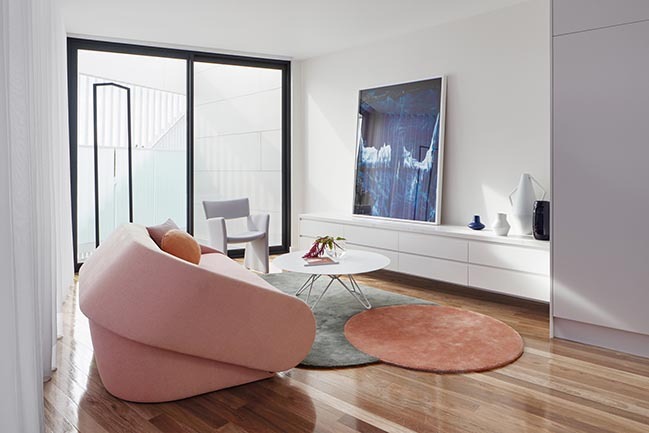 The house subverts the typical "rear-ground-level-extension-facing-a-backyard" approach without compromising light, space and quality of living. Gross floor area: 142 sq.m. 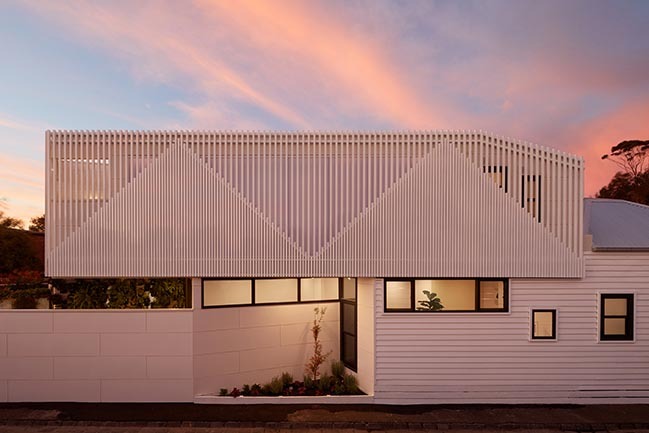 SITE - Nestled in a diverse neighbourhood pocket in Albert Park, the original building was a dilapidated double-fronted Victorian house book-ended by a double-storey terrace house on its south side. 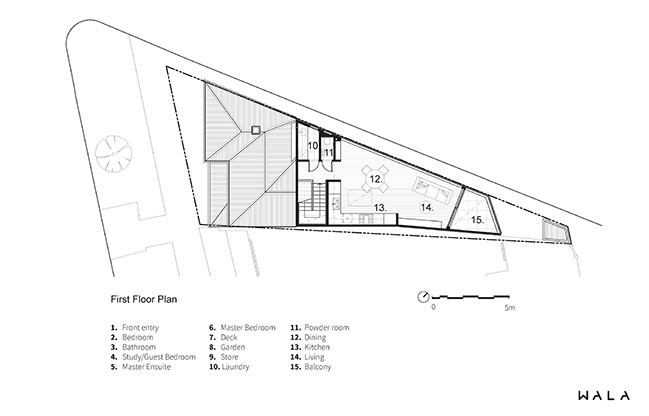 The house is located on a corner allotment that is pinched in by the main street and a laneway which gives it its irregular, triangular "pizza" shape that tapers towards the rear. As a heritage listed building, it was imperative to rescue the front of house which was in a severe state of disrepair. 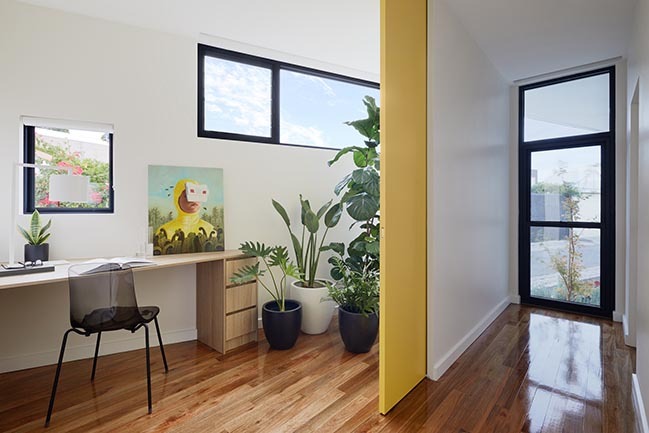 BRIEF - The homeowner and his family of 4 presented us a brief that started off with the basic functional premise of maintaining a 3-bedroom house at the very minimum, and making use of the neighbour's double-height boundary wall to introduce a second storey volume to the rear of the property. 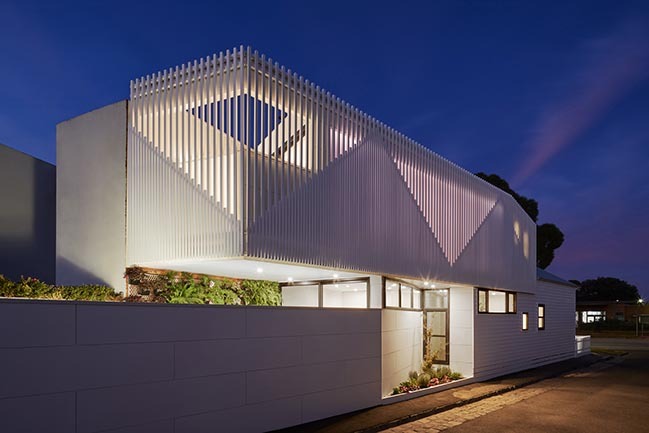 In contrast to the convoluted and dimly-lit layout of the original house, the new extension had to be well-lit, feel larger than it is (despite its small footprint), and ultimately marry in seamlessly with the front heritage building. 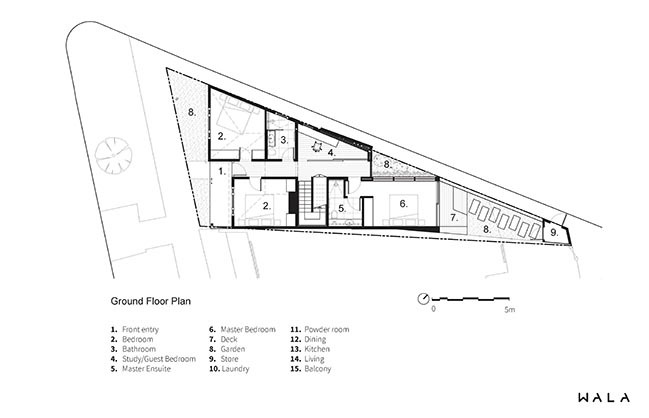 DESIGN RESPONSE - Our design response was governed by the strict heritage rulings of the area. The new addition is undoubtedly contemporary and is clearly distinguishable from the heritage building. It is this distinction that enhances the status and character of the heritage building. The multiple rear lean-to's were messy in their layout and clustered in an ad-hoc fashion, so our goal was to retain and restore the existing front of house whilst improving the flow and functionality of the old & new wings of the dwelling. 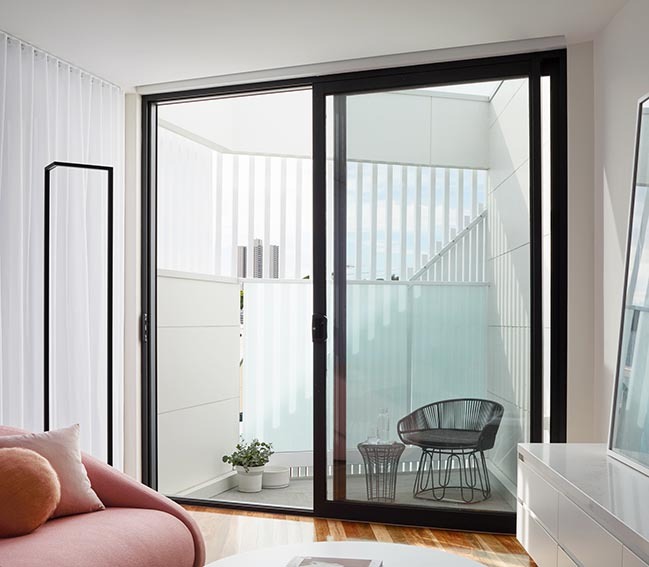 A typical "rear-ground-level-extension-facing-a-backyard" treatment was impractical for this house, so we subverted the status quo by promoting the living spaces upstairs and having all bedrooms organised at ground level. 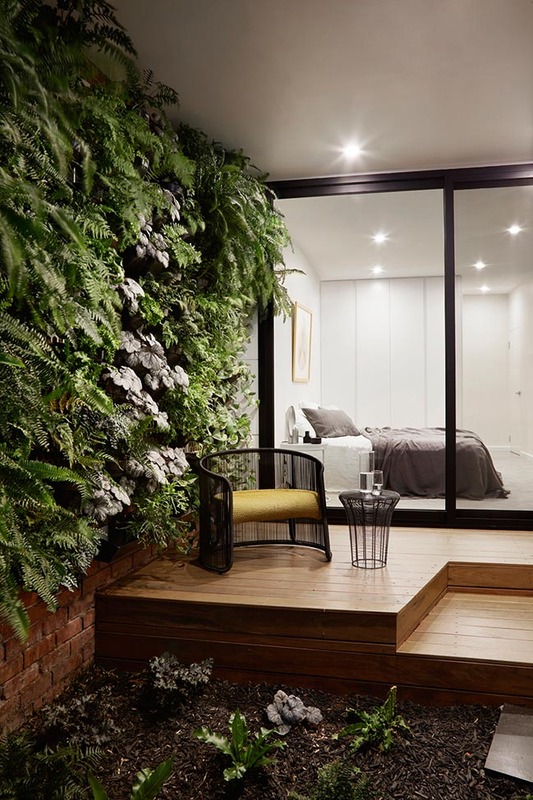 This allows us to borrow inherent privacy and security afforded by a new boundary wall facing the laneway and have the bedrooms feel "sheltered". 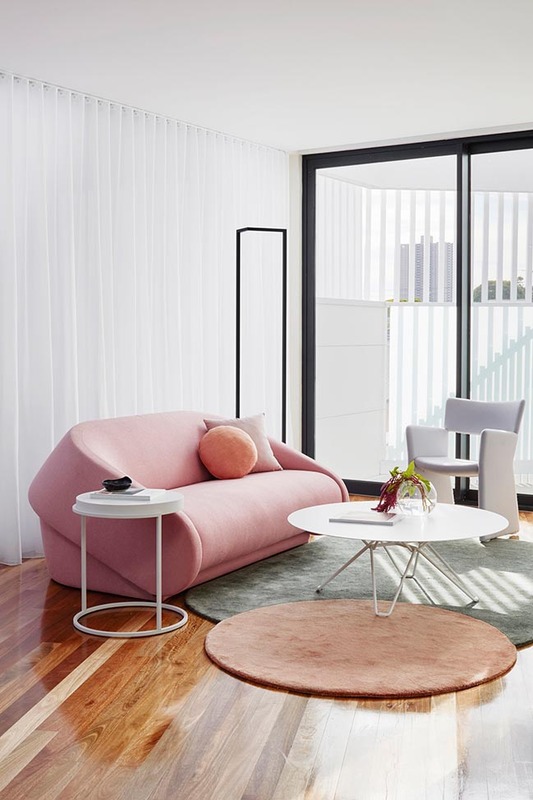 Upstairs, the living spaces now sit above the neighbouring roofline and are able to open towards uninterrupted views and daylight. FAÇADE TREATMENT - The facade treatment and articulation of the new addition drew inspiration from the previous forms of the old lean-to's. 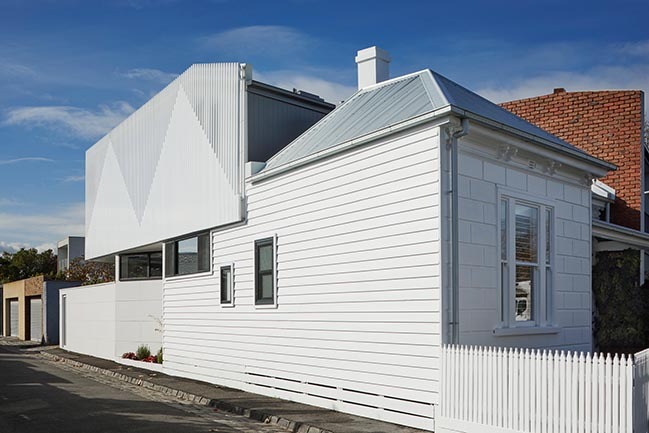 The new facade celebrates classic pitched roofs of old Victorians in the neighbourhood by referencing these triangular shapes in the upper floor's external batten screen. 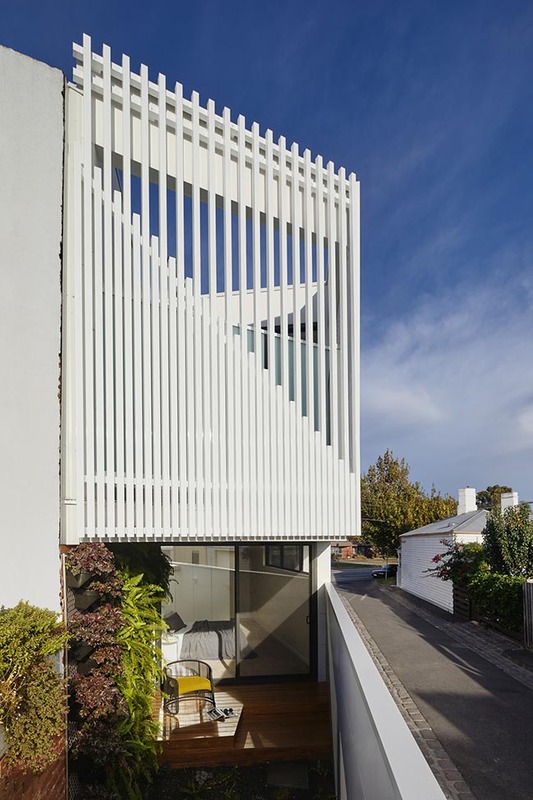 This batten screen not only presents a clear external graphic to the laneway, but also protects privacy by shielding views into the neighbours' gardens. 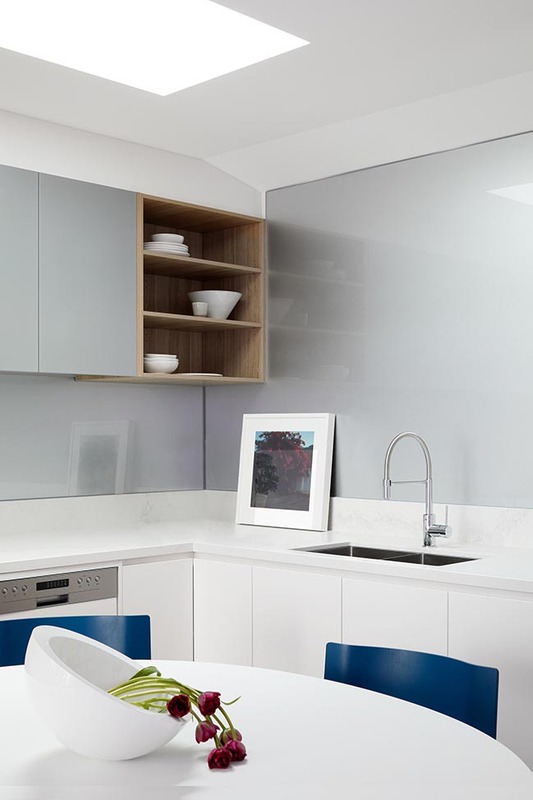 A full-height clear polycarbonate wall on the internal face of the upstairs living spaces still allows for northerly light into the rooms. During the day, soft daylight illuminates the elevated living spaces and when the sun sets, these spaces become lanterns under the night sky. 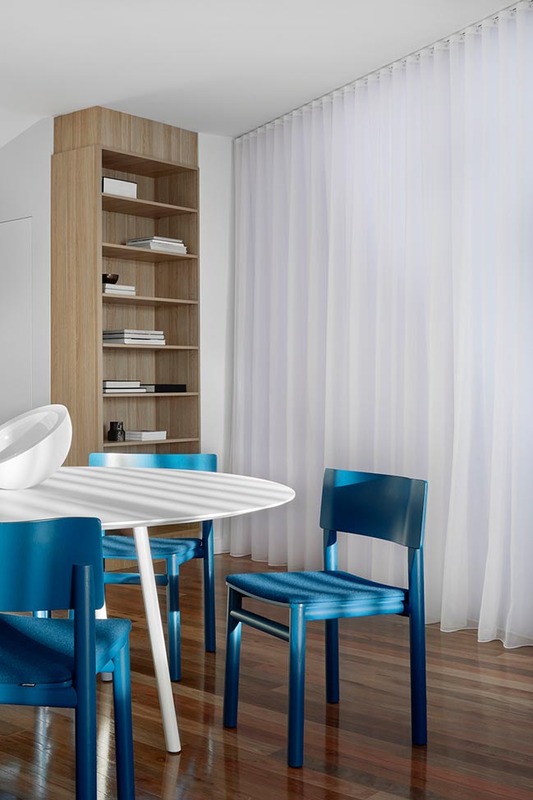 MATERIALS & COLOUR - A strong colour palette of 'whites' were employed to elevate the visual impact the house and to give it a crisp and clean look the original building was in desperate need of. 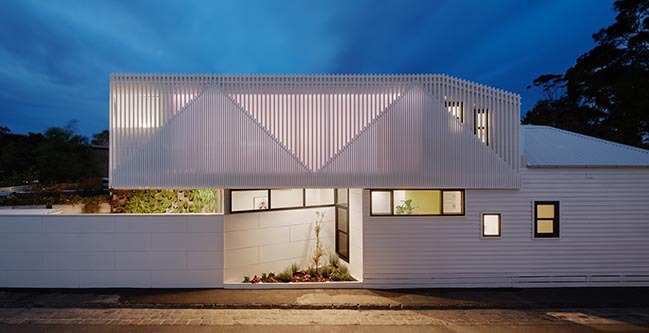 The polycarbonate wall plays a part in bringing more light into the belly of the home. 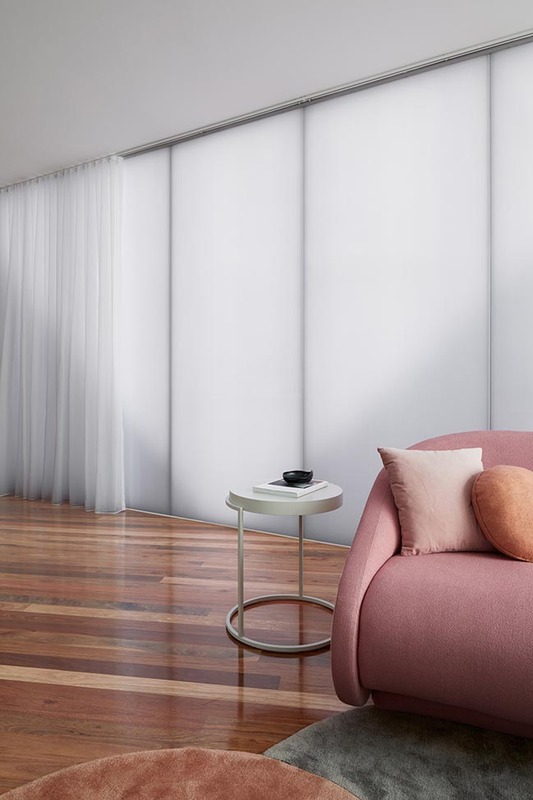 Rather than succumbing to a traditional solid wall punctuated with windows, we designed this translucent wall to literally be a "wall of light" and emanate diffused daylight uniformly into the main living zones. 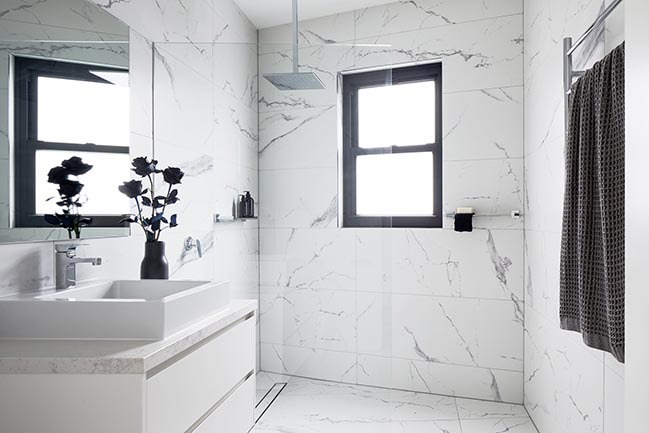 In working with neutral tones, the selection of external and internal finishes became more vital in order to introduce texture via different building materials. 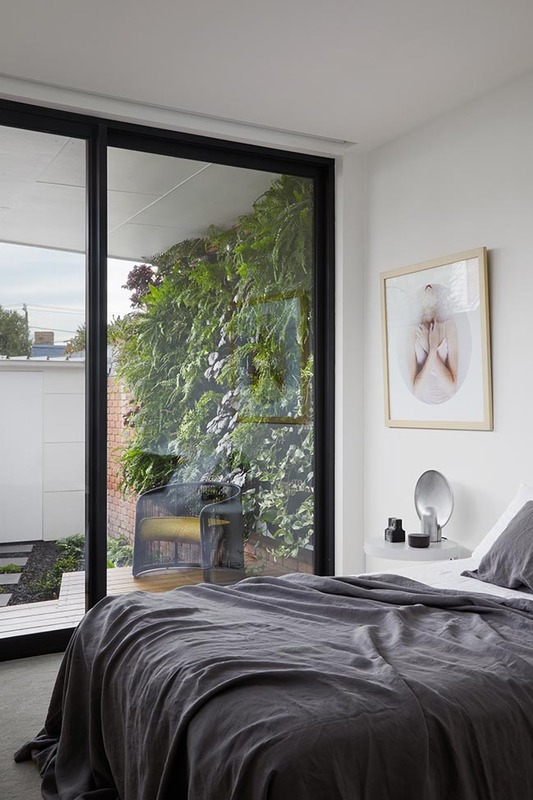 New insertions such as windows and glazed sliders are framed in aluminium to contrast against the double-sash, timber-framed windows of the old house. 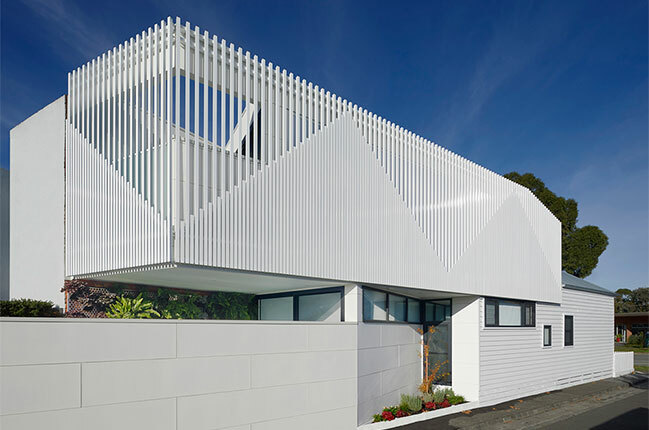 In extending this choice of material, the batten privacy screen comprises aluminium extrusions to achieve a machine-grade uniformity that juxtaposes wonderfully against the hand-laid weatherboard cladding of old. GIVING BACK - The irregularly-shaped site also allowed us to introduce a "shared garden" at street level; a departure from the harsh treatment along the laneway as evident by many other corner allotments in the area. 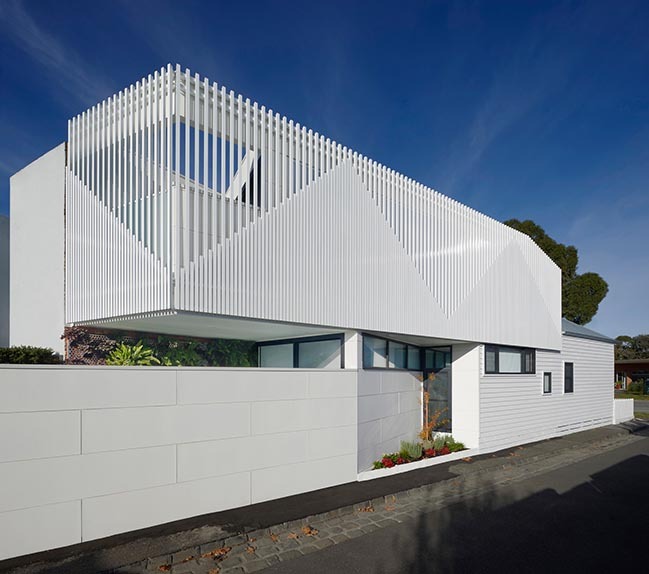 We wanted a feature that promotes engagement with the street and its pedestrians, and this was achieved by angling the proposed boundary fence towards the house to carve out a piece of garden at a human scale. Despite the house's small footprint, this effort was made to ensure that a part of the house could be shared with the community.